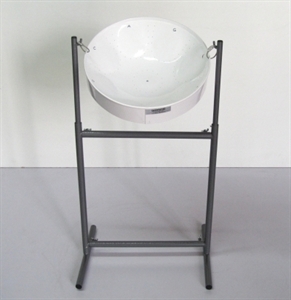 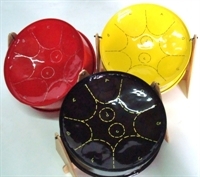 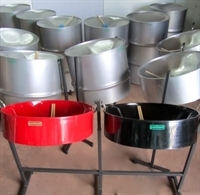 A Midsize version of the Meditation Pan very useful in Music Therapy and special education applications. 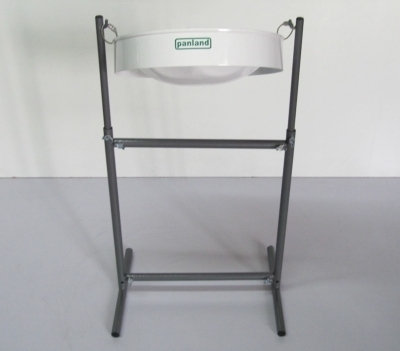 Full package with accessories. Powdercoated in Bengal White with Gold notations.